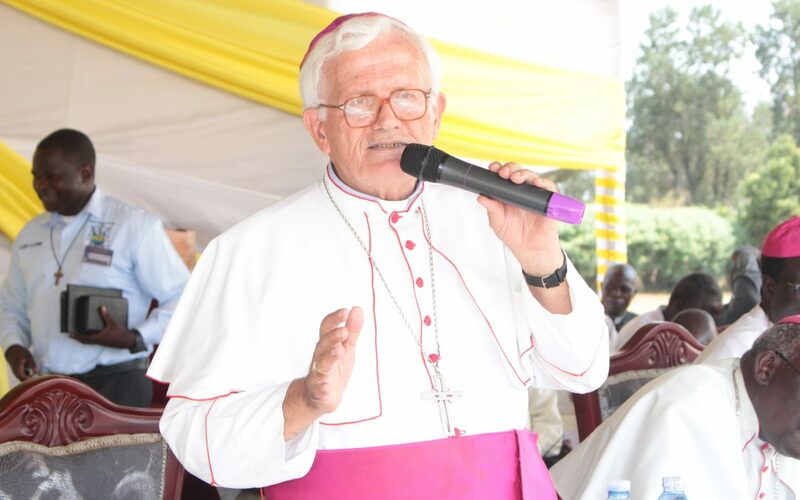 Bishop Joseph Franzelli, the Apostolic Administrator of Lira Diocese has called for responsible care of the environment as an avenue for peace in his speech while unveiling the theme for the 14th annual Provincial Peace and Prayer Week on its second day Tuesday 22nd January 2019 at Lango College. Reflecting on the theme: Good politic is at the service of peace, the bishop also host of the event stressed the need to care for the environment that motivates human beings to live in peace and harmony. He regretted the incidences where the environment, that he kept on referring to as “our common home” was being destroyed by people who do not care and protect God´s creation. He cited example where many trees are being cut down for charcoal without replacement saying its the reason why some human beings have become enemies to the environment.